Chinese smartphone manufacturer ZTE has revealed details about their new phones, the ZTE Blade V9 and the dual-screen Axon M.
The Axon M looks fairly normal until the second screen is folded out – it has a pair of 5.2-inch displays which allows users to mirror the main display, run two separate apps side-by-side, or extend the main display. Specs include a 3180 mAh battery with quick charging, a single 20MP camera which serves as both the front and rear camera thanks to the folding design, a side mounted fingerprint scanner, and expandable storage. 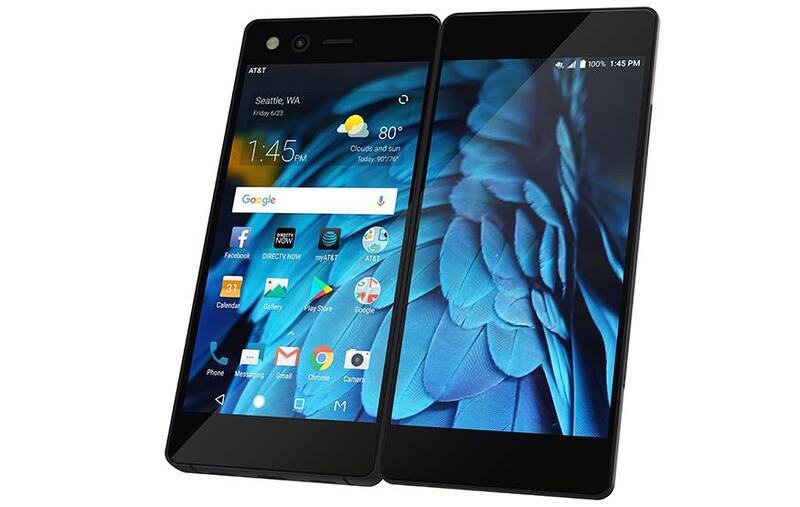 The Axon M is currently exclusive to US markets and is priced at a little over USD$700. In the midrange Blade series, two models will be available; the Blade V9 and Blade V9 Vita. Both feature stock Android Oreo, dual rear cameras, 3200 mAh batteries and rear-facing fingerprint readers. The larger Blade V9 features a 5.7-inch 18:9 display, a Snapdragon 450 processor and 32GB of expandable storage. Imaging is handled by a 16MP sensor paired with a 5MP sensor on the back, while the front camera has a 13MP sensor. Pricing is expected to be under USD$300. The Blade V9 Vita is slightly smaller at 5.4 inches, has 16GB of storage and a slower processor. The cameras aren’t as high spec either – the rear cameras are a 13MP and 2MP pair, while the front camera has 8MP of resolution. As a result, it’s cheaper though, coming in at about USD$200. Neither phone is confirmed for Australian markets yet, but ZTE’s previous phones have been stocked locally.